I was looking at this very thing yesterday and comparing with Panigale R.
Looking good, Love the extra midrange. 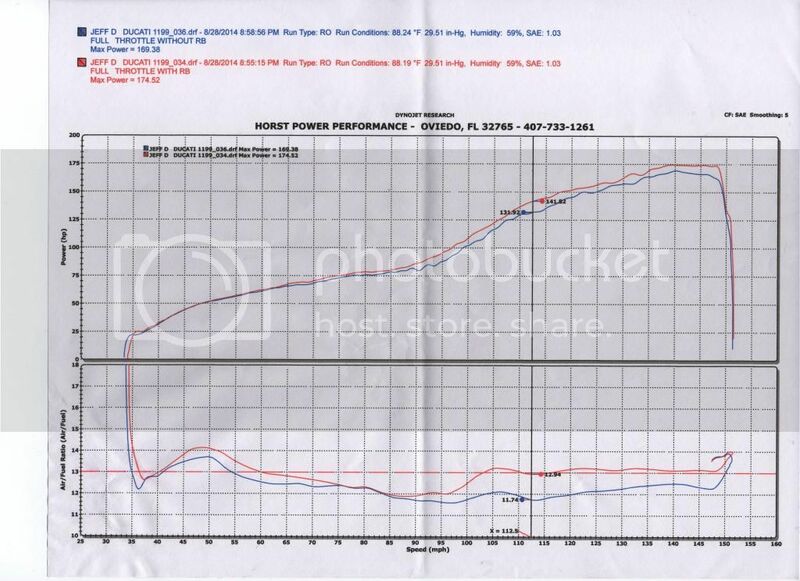 I wonder if my 42 rear tooth and Rapidbike has made my 1199 Torque comparable to the 1299? it certainly feels better than stock setup.. 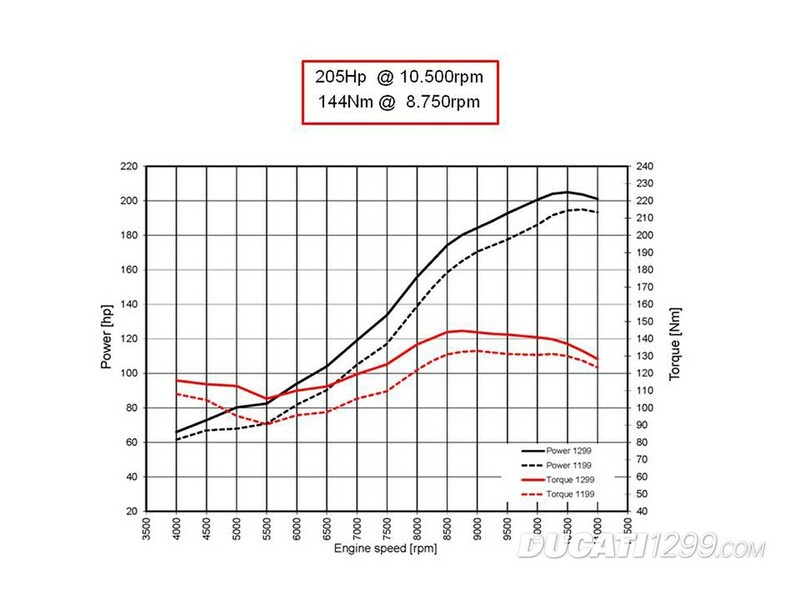 The figures are pretty much in line with a 4mm bore increase and 4mm exhaust diameter increase. Prince Albert, I think a full Termi, Rapidbike and MWR will be equal to or slighly higher than the 1299 numbers. 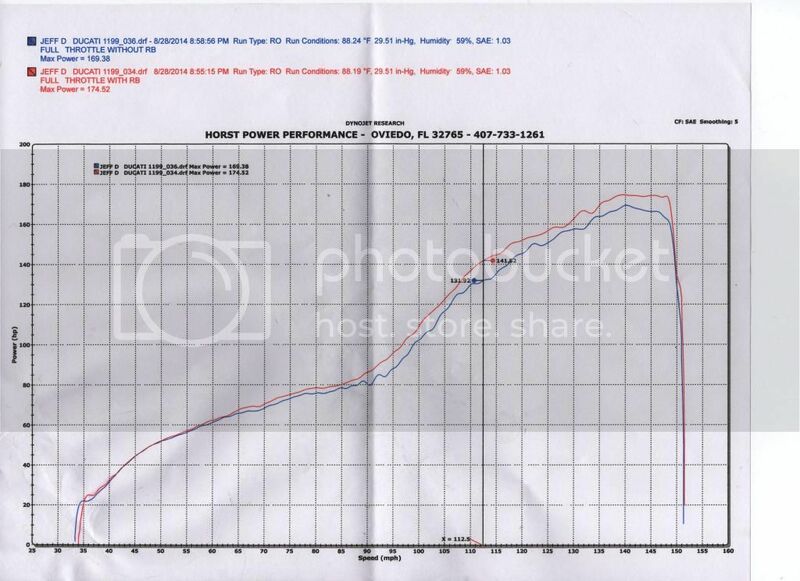 Ducati alone states a 5% increase(10hp) for the full system giving you 205 right there. Add the MWR filter and tuning from Rapid bike and you might be closer to 210bhp IMHO. Last edited by cosmok; Feb 1st 2015 at 02:18 PM. It looks like a chart anyone could make in Windows Paint. What is the source? Will the 1199 Rapidbike and RAPIDBIKE quick shifter work on a 1299? The power is impressive indeed and its a good thing I'm not a numbers chaser otherwise I would be in trouble. I'm happy with the power delivery of my 1199... But then I also like the smoking 92hp of the sport classic. Last edited by BurnCycle; Feb 6th 2015 at 11:15 AM.